Mixed Spices and Seasonings. 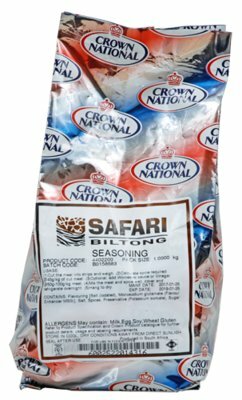 Africa's most popular Biltong Seasoning, savored in many countries outside Africa, including the USA, With its beefy, coriander and pepper notes, this seasoning produces a mild old fashioned biltong blend exactly the way you like it. Delicious on beef jerky as well!